The anchorage behind Nisos Soupia on the mainland of the Peloponnese is certainly a good lunchstop in the direction to the ports of Poros of Hydra, but could also be used for the night. Another possible destination would be Ermioni but that is much overrated. 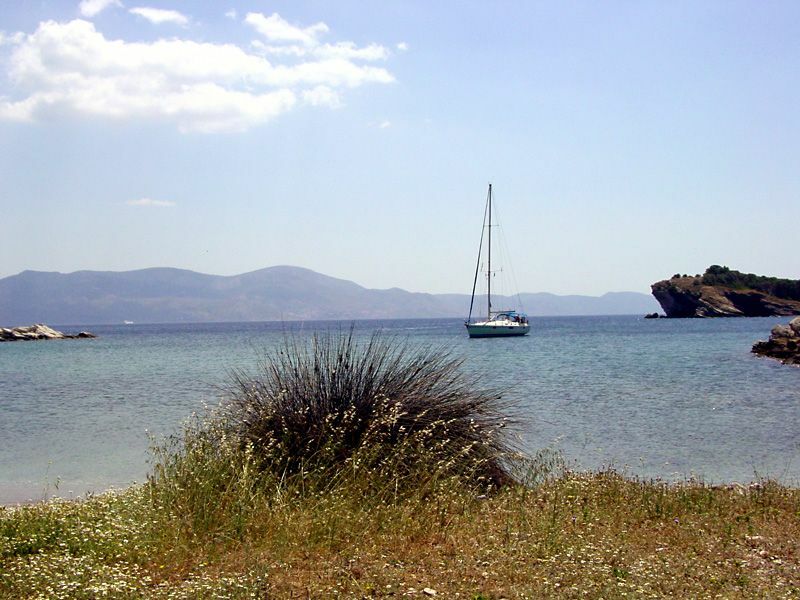 The island of Spetses (and the port of Spetses) is a much more beautiful option for your sailing route. Other options are Porto Cheli / Porto Heli north east of Spetses or the anchorages at the north side of Dokos or Dhokos island. The nearest yacht charter base is Poros. The image above: Our secluded anchorage (Nisos Soupia) with Hydra in the background - during our sailing holiday in the Saronic.